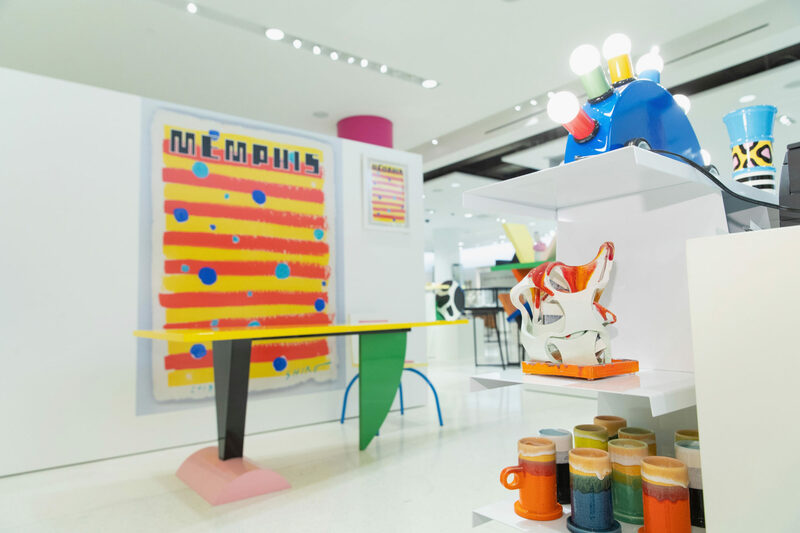 The pop-up exhibition “Memphis Milano” invites visitors to indulge in curator Olivia Kim’s zest for the outré design movement. Growing up in the 1980s, Olivia Kim was obsessed with furniture. 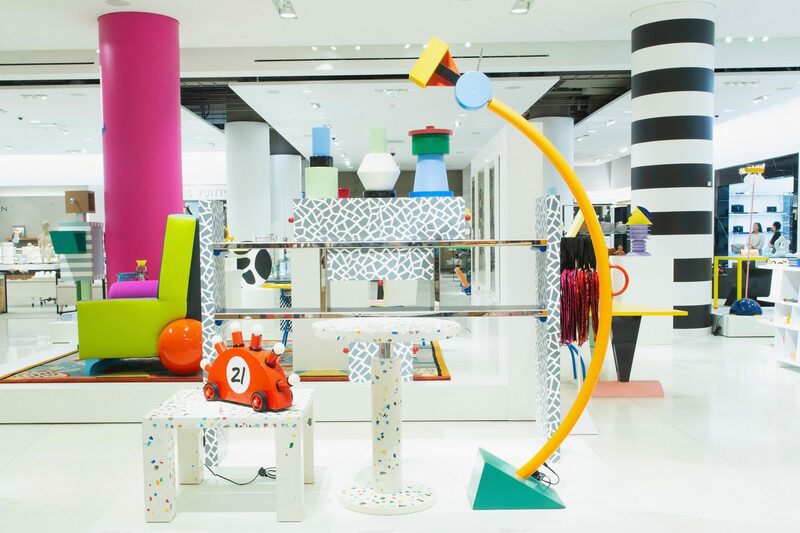 She’d tag along with her mom to New Jersey shopping malls, drawn to the acid colors, cartoonish shapes, and brash patterns of the objects spread across showroom floors. 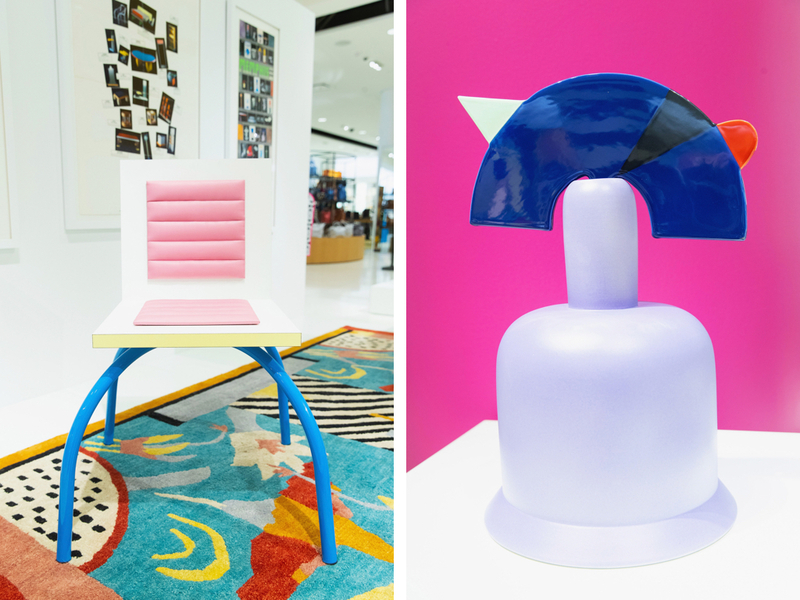 Later, she discovered that the origin of those outré displays had a name: Memphis, a movement founded by Italian architect Ettore Sottsass and a handful of defiant European designers who burst onto the scene in 1981 with a radical message of pastel, Pop-inspired fun. 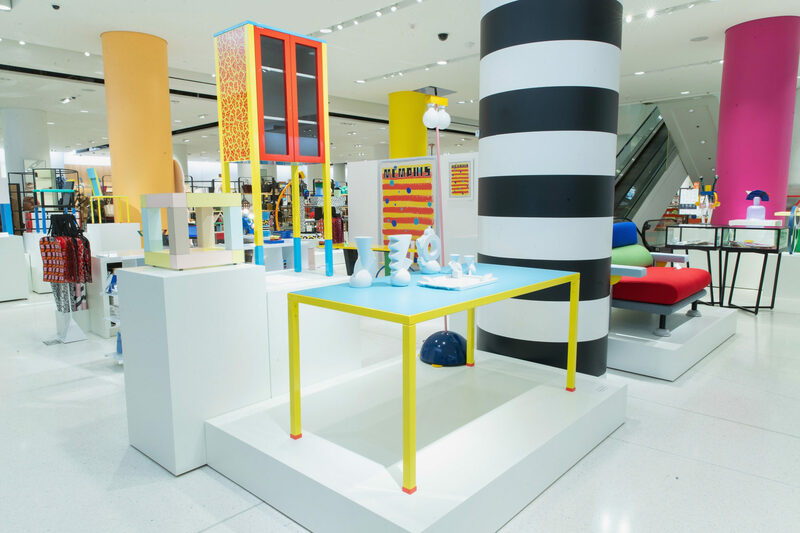 Now, as Nordstrom’s vice president of creative projects, Kim, 41, is bringing her obsession full circle, by curating an exhibition dedicated to her favorite design movement, nestled inside the department store’s Seattle flagship. The show, “Memphis Milano,” is meant to feel like a museum-worthy retrospective of the movement’s most iconic pieces—and everything on view is for sale. 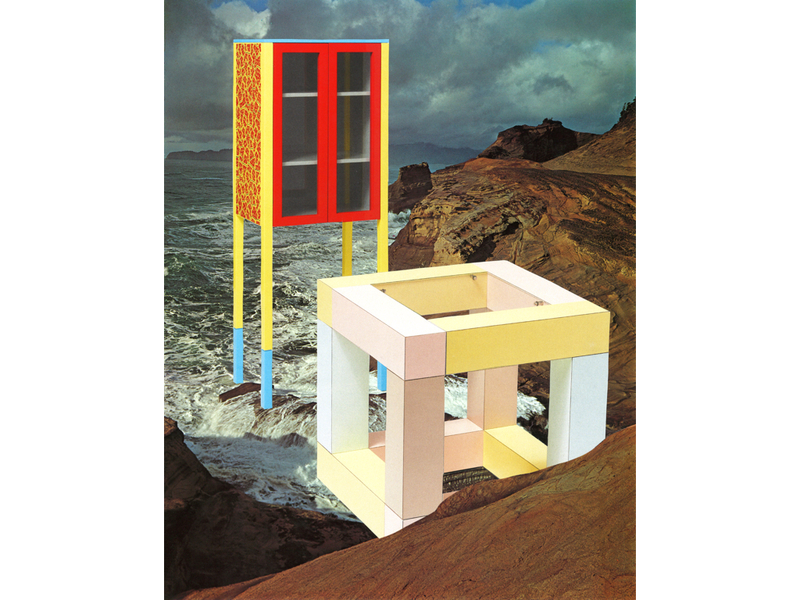 Running through Oct. 28, the exhibition hosts an impressive array of objects from the era, including Sottsass’s Carlton room divider, Michele De Lucchi’s Oceanic lamp, Nathalie Du Pasquier’s Cauliflower fruit bowl, and Martine Bedin’s Lodge bookcase, of which only about 50 were ever produced. (The volume of pieces far exceeds that of many institutions’ surveys of the movement—a testament to Kim’s longstanding friendship with Keith Johnson, the leading Memphis dealer in the U.S.) Peter Shire, a founding member of the collective, consulted on the exhibition’s design and created signage specifically for the occasion. In an ingenious twist of symmetry, Kim’s selection of classics is complemented by a gift shop stocked with Memphis-influenced creations by emerging design brands: Areaware, Volta, Studio Sophia Sophia, and Wary Meyers among them. This high/low fusion echoes the spirit of Memphis, as does Kim herself, who’s been creating pop-ups for Nordstrom since 2013. (Prior to that, she spent a decade as the right-hand woman to Carol Lim and Humberto Leon at Opening Ceremony in New York.) 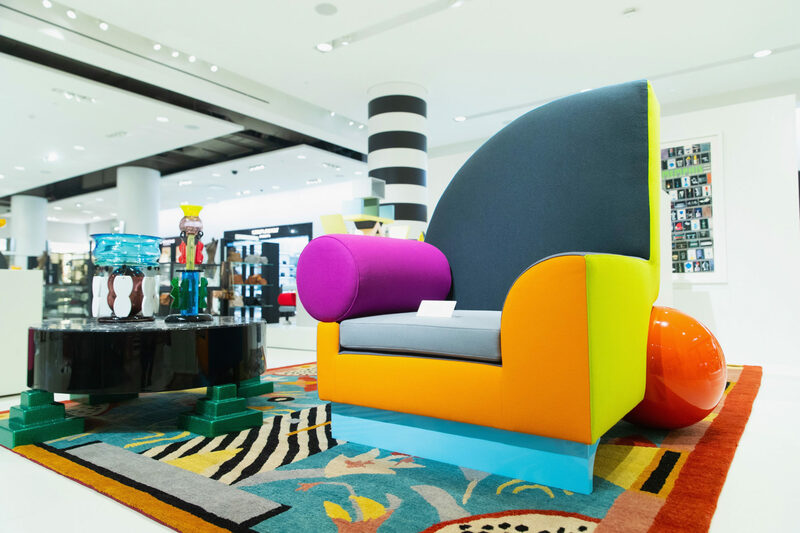 The individual themes of these temporary spaces vary, but they all share a common mission: initiate Nordstrom shoppers to new fashion and design talent by way of unexpected, inclusive experiences. It’s a unique (and clever) approach, leveraging the flash-retailing model to educate customers. The goal is engagement—not transaction. In April, New Yorkers got a taste of Kim’s magic at the Nordstrom Men’s Store, where she collaborated with furniture designer Marc Hundley to create a Comme des Garçons shop—the label’s first-ever out-of-house installation. Its founder, the notoriously particular Rei Kawakubo, gave Kim full reign to do whatever she liked with the clothes. “I think there was an understanding that I wouldn’t do it wrong because I know so much about Comme,” Kim says, noting that it’s her choice brand. There’s a similar authenticity to “Memphis Milano.” Her care and enthusiasm shines through.